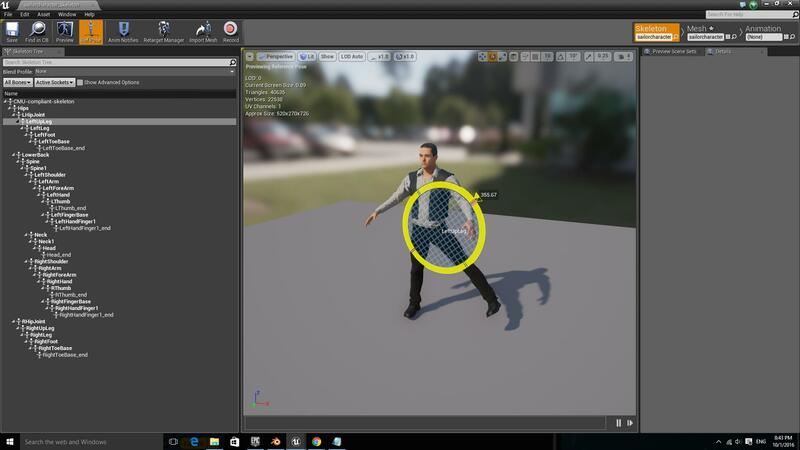 I'm trying to import a character from Makehuman to UE, but I am unable to retarget the animations from the default third person character to the new character. Everything is set up perfectly and the base poses match exactly, but the new animation is all messed up. All you can see when the animation is played are two giant hands flying around. Is there any quick solution to the anim retargeting problem, or do I need to completely re-rig the mesh? I'm using Blender for rigging. Exported the skeleton differently from Makehuman and tried again. The result is a bit better but still isn't right. Hello, this is a bone scaling issue from blender to unreal. I made a video on how I fixed it with my model listed below. You can also download my model as I give it away in the video description. 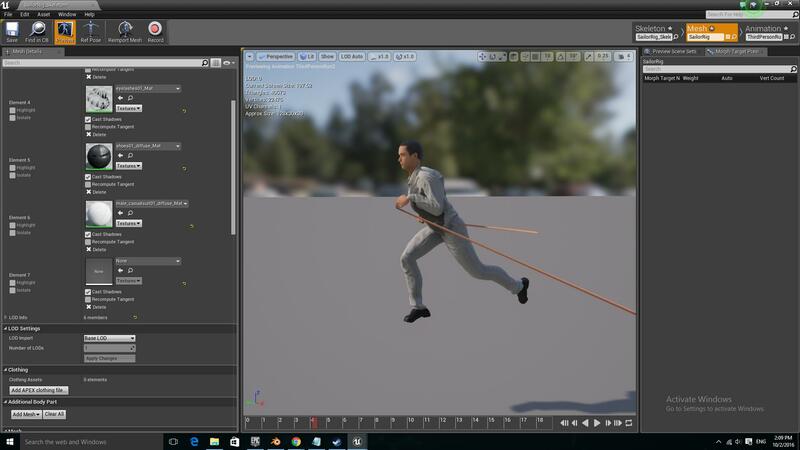 Anyone knows how to properly import Manuel Bastioni into UE4? Retargeting animation blueprint screws up mesh.